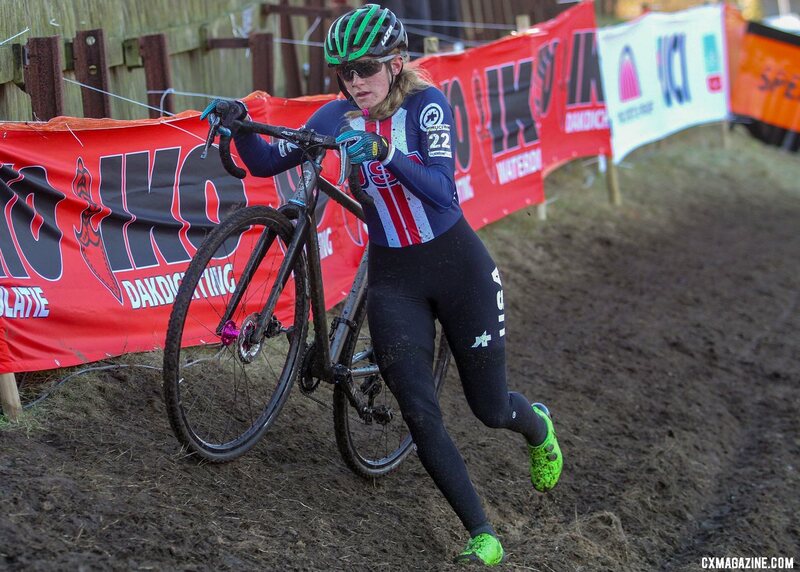 Meredith Miller retired from cyclocross in 2016, but she has still stayed busy in the sport after hanging up her toe spikes. 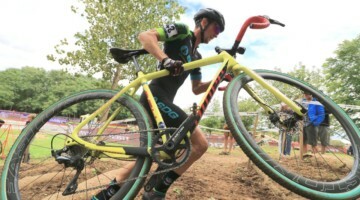 We heard her helping with the announcing at the 2018 Reno and 2018 Louisville Cyclocross Nationals and 2018 World Cup Waterloo, and she has also taken the time to jump in a cyclocross race from time to time. 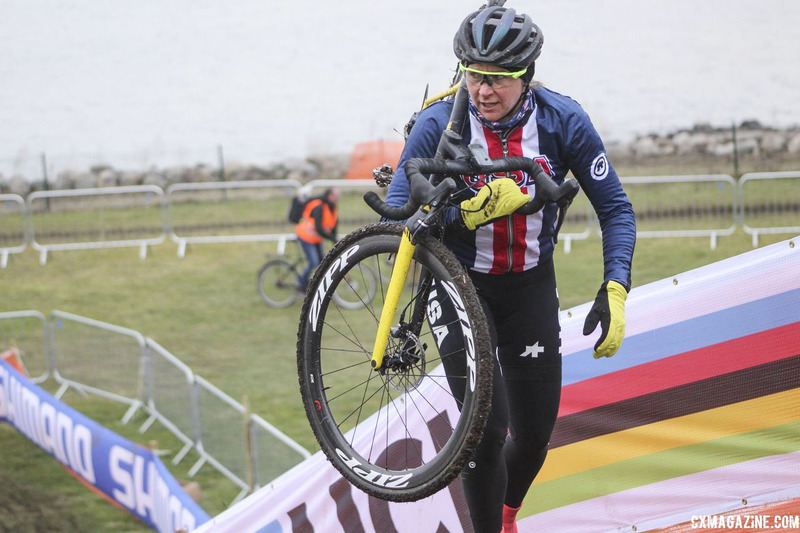 Miller’s continued relationship with USA Cycling led her to the 2019 Bogense World Championships as a coach with the Team USA contingent. One thing that was special about Miller’s presence in Bogense is she was one of—if not the—first female national team coaches at Worlds. 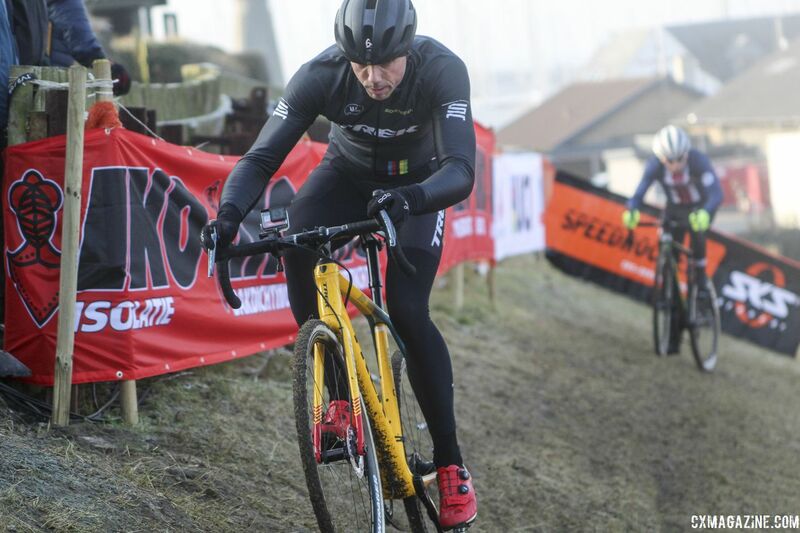 At Friday’s course inspection, we saw Sven Vanthourenhout, Sven Nys and former professional men help riders dial in lines and talk strategy, which is the norm in a sport that has been decidedly male-centric. One of Miller’s main tasks was helping the U23 Women in the U.S. contingent. On Friday she pre-rode the couurse with the group of U23 Women riders—Clara Honsinger, Katie Clouse, Emma Swartz and Madigan Munro. 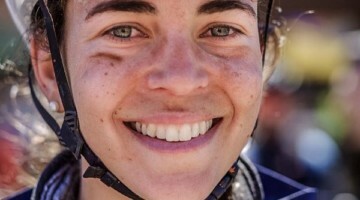 When not on the course, Miller spent time with the young women riders, and she also brought in Katie Compton and Kaitie Keough to help teach them the hard-earned secrets of handling the whirlwind of the cyclocross world championships. Thanks in part to the constructive environment provided by Miller and USA Cycling, the U23 Women delivered impressive performances in Sunday’s U23 Women’s race. Both 17-year-old Katie Clouse and Clara Honsinger made the lead selection of 10 with 2 to go, and Clouse went on to finish 7th and Honsinger 10th. Madigan Munro, a first-year Junior, also had an impressive ride in just her second European race, finishing 25th. With her finish in the top half of the U23 Women’s field, Munro is a rider poised to represent Team USA at the first-ever Junior Women’s World Championships next year. I chatted with Miller right after the U23 Women’s race when the stoke was still quite high from the impressive rides turned in by Team USA members. You can listen to our conversation below. USA cycling needs to step it up more in women’s cycling. The best world level performances are coming from women. By far. If there was a JR W race, USA would have a medal. 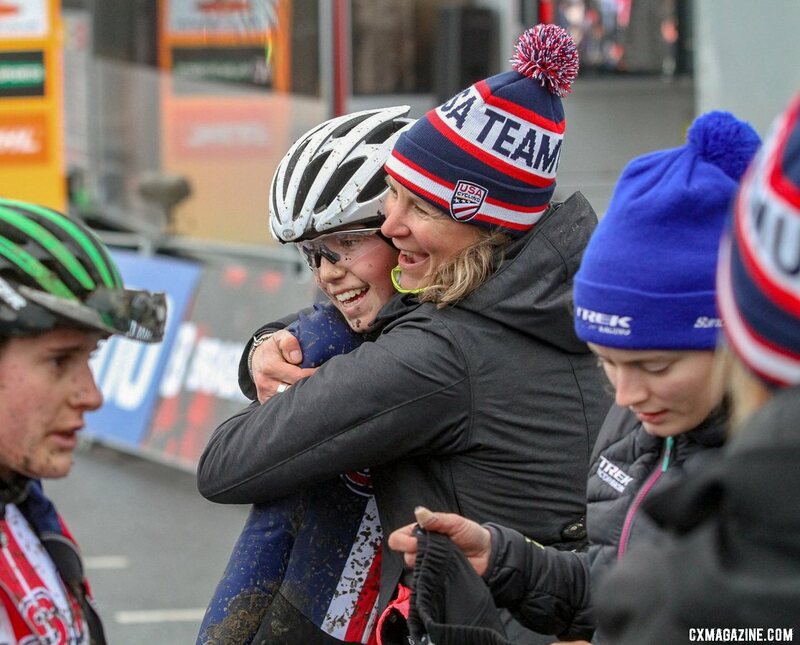 The future has just started for USA cycling.